If you are a wartime veteran or the spouse or widow/widower of a wartime veteran; are disabled or over age 65, have significant health problems, you maybe eligible for the new and improved veterans pension benefit. The benefit could be worth $11,000. to $22,000. per year. Strategic Planning Services understands the special financial needs of seniors and we provide custom, personalized service for senior clients. 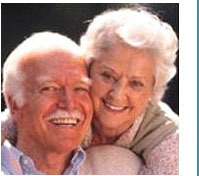 Review our senior newsletters and, if you like what you see, call 1-616-447-0023 for a free consultation. *View the full text of our popular Profile of a Senior essay.